Big Brother 15 BIGGER Than EVER Before! MORE House Guests NEEDED! With the finale of Big Brother Canada airing tomorrow on May 2, 2013, we can’t help but feel saddened by the conclusion of the first season. Thankfully with the ending of one season comes the beginning of a new season. 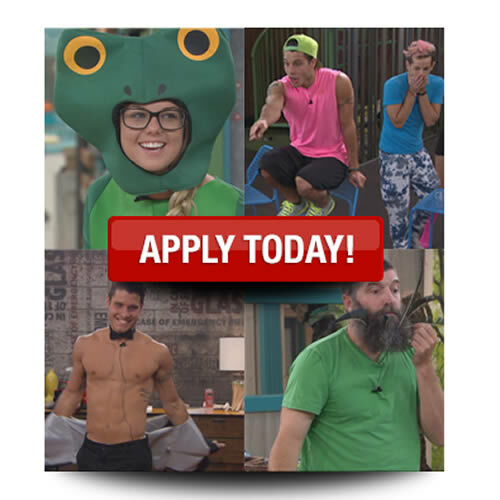 Big Brother 15 premières in just 56 days on Wednesday, June 26, 2013, which is approximately 2 weeks earlier than usual and something that has never been done before in the last 14 seasons. This means this that our summer reality TV obsession is going to be that much longer giving us MORE Drama, MORE Outrageousness , MORE Fights, MORE Showmances, MORE Scheming, MORE Slop, MORE Pandora’s Box’s and MORE Twists than EVER BEFORE!